The Bharatiya Janata Party (BJP) on Tuesday said that the Congress merely wants to level allegations on the saffron party, in reference to Congress leader Mallikarjuna Kharge ccusing the government of "indirectly encouraging groups like the Vishwa Hindu Parishad, Bajrang Dal as well as Gau Rakshaks." "The intention of the Congress is to merely level allegations. If a discussion or debate is taking place then they should listen to what the treasury benches of the government have to say in response. 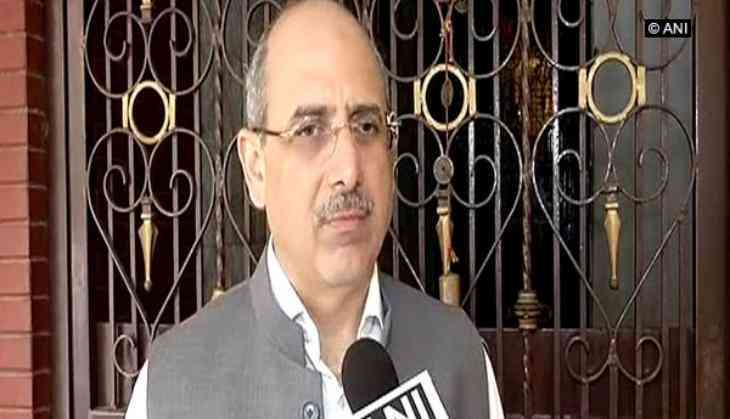 The very fact that they are speaking their point of view, levelling allegations and not willing to listen to the answers, clearly confirms that their interest is not in the debate, but primarily perhaps only to level allegations," BJP leader Nalin Kohli told ANI. Earlier on Monday, the Lok Sabha witnessed a heated discussion over reported incidents of mob lynching across the country with Kharge accusing the Centre. He said that ever since the NDA government had come to power, incidents of lynching and mob violence have increased. Listing out mob lynching incidents in Gujarat, Jharkhand, Uttar Pradesh, Kharge said, "Gujarat, Jharkhand, Uttar Pradesh - wherever the BJP is in power, these mob lynchings happen.It is a shame that this is happening in a democracy." A strong rebuttal came from the Bharatiya Janata Party MP, Nishkant Dubey, who said that many of the case mentioned by Kharge were pending in court under Indian Penal Code Section 352. BJP Leader Hukmdev Narayan said that the Prime Minister had repeatedly condemned mob lynching and added that it was the states' responsibility to keep a check on such incidents. Kharge also criticised Prime Minister Narendra Modi for not speaking about mob lynching in his 'Mann Ki Baat' radio programme on Sunday.